"The embroidered textiles of Central Asia inspired Fuchsia Suzani medallion print. Traditionally included in wedding dowries to demonstrate the stitching skills - suzan means needle in Persian - of brides, suzani tapestries date to the 1700‘s. 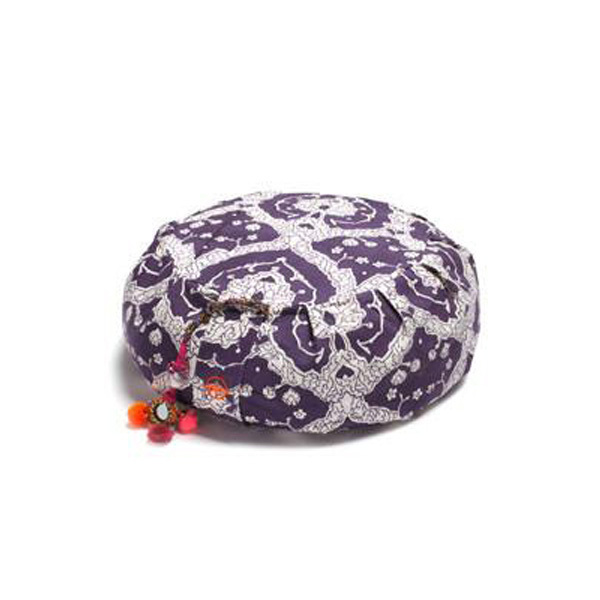 We’ve hand block-printed Fuchsia Suzani Zafu Meditation Cushion in deep pink and finished it with orange stitching detail. Adorned with a colorful mirror tassel like those seen on the camels of Rajasthan’s great Thar desert. Divine in any home practice or studio interior"